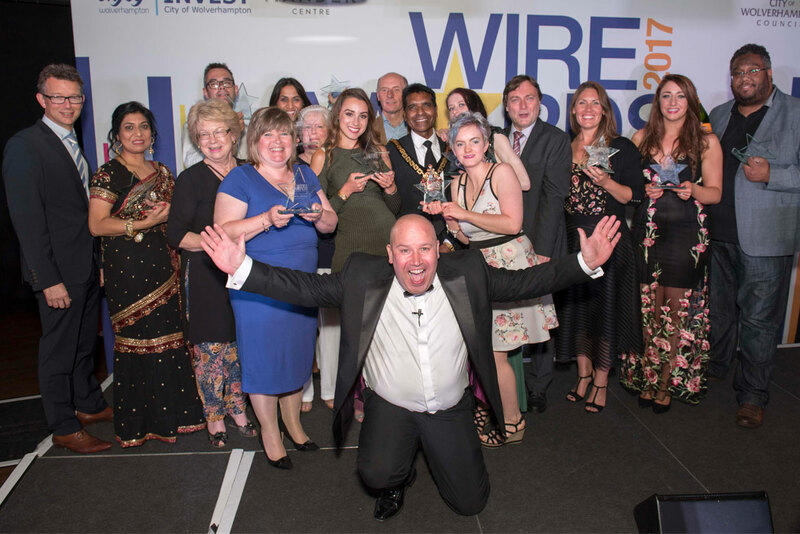 Excitement is building as businesses wait to hear if they have been shortlisted in the Wolverhampton Independent Retail Excellence (WIRE) Awards. Judges are currently working their way through the 240 entries received from a wide cross-section of businesses in the city, all hoping to make it to the finals. Entries have been received from a range of local independent traders, from butchers and bakers to florists and dry cleaners, and gyms and photography studios to hotels, bars, restaurants and entertainment venues. The awards are being led by Wolverhampton Business Improvement District (BID) and City of Wolverhampton Council. Finalists will be announced in June with the winners to be unveiled at a special awards ceremony on Tuesday, July 17, 2018, at the city’s stylish WV1 bar and restaurant, at Molineux Stadium. Guests at the event will be in for a great night, with Signal 107’s evening show presenter Elliot Holman and Midlands icon and Black Country comedy star Doreen Tipton, amongst the entertainment. Tickets are available to purchase at www.wireawards.co.uk. People who register a vote will also be in with a chance of winning one of a number of special prizes donated by local businesses. These include Sunday lunch for two in Sir Jack’s Restaurant at Molineux Stadium; a table for four at the WV1 Comedy Club; four tickets to Wolverhampton Grand Theatre’s pantomime Sleeping Beauty; a meal for two in Anju’s restaurant, a Spa Experience and Afternoon Tea at Ramada Park Hall Hotel & Spa and a six-month free Platinum Membership at WVActive. The awards are being supported by a host of prestigious names including BCRS Business Loans, Casino 36, City of Wolverhampton College, Corporate Wolves, Mander Centre, Midland Metro Alliance, MRS Communications, NCP, Ramada Park Hall Hotel & Spa, Signal 107, Venue Catering Partner and Wolverhampton Racecourse. The awards will also be supporting the city-based charity Promise Dreams on the night – they have been invited to the event to raise much-needed funds. There are ten awards up for grabs: Independent of the Year; Excellence in Customer Service; Best Dressed Retail Store; Best Presented Premises; Excellence in Team Development; Hospitality and Leisure Business of the Year; Community Contributor of the Year; Employee of the Year; Independent Employer of the Year and the public vote award for the Signal 107 People’s Favourite Business. DISCLAIMER: This email and any enclosures are intended solely for the use of the named recipient. If this email has a protective marking of PROTECT or RESTRICT in its title or contents, the information within must be subject to appropriate safeguards to protect against unauthorised or unlawful processing and against accidental loss or destruction or damage. PROTECT and RESTRICTED information should only be further shared where there is a legitimate need. If you are not the intended recipient, or responsible for delivering it to the intended recipient, you may not copy, disclose, distribute or use it without the authorisation of City of Wolverhampton Council. If you have received this email in error please notify us by email to postmaster@wolverhampton.gov.uk and then delete it and any attachments accompanying it. Please note that City of Wolverhampton Council do not guarantee that this message or attachments are virus free or reach you in their original form and accept no liability arising from this. Any views or opinions expressed within this email are those of the writer and may not necessarily reflect those of City of Wolverhampton Council. No contractual commitment is intended to arise from this email or attachments.